Quinns: It can be lonely reviewing games by yourself. Matt and Paul might be at the Game Developer’s Conference, but I have a solution! Quinns: Ha ha, you flatter me! Let’s get down to business, Matt. Quinns: Today we’re reviewing Quartermaster General 1914, the third (and most highly-rated) entry in the Quartermaster General series. 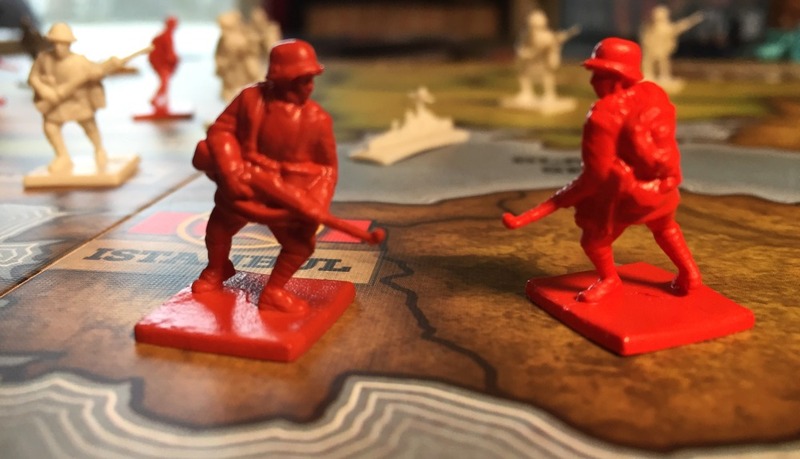 Like Memoir ‘44, these games might look like stodgy wargames, but don’t be fooled! 1914 is a tricky, playful card game that lets you get stuck into the drama and anxiety of WAR without having to measure any distances or frown at charts. Quinns: Don’t speak, you’re getting flakes of glue on the table. 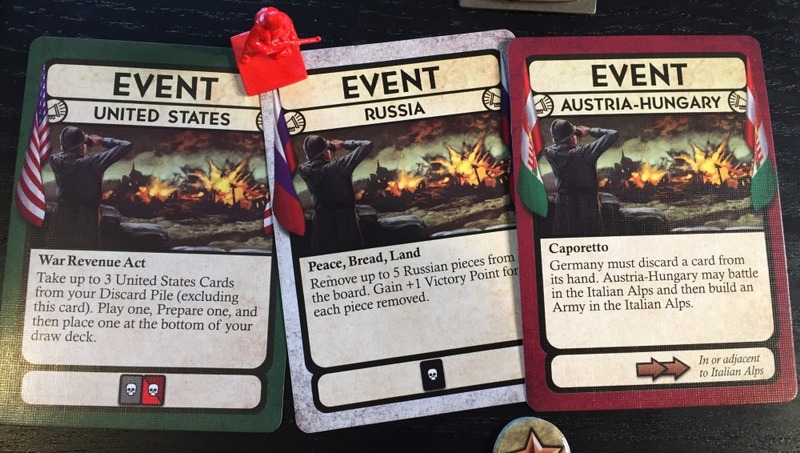 So team play is exactly what the Quartermaster General series is all about. In our case, 1914 is a five player game where three frail players take on two wealthy ones. It’s a tremendously exciting hook, and we’re just getting started. Before this game’s even begun everyone feels nervous about being either outnumbered or outgunned, you’re thumbing through your personal deck, chatting to your team-mates, and everyone’s laughing at the Russia player who gets a smaller deck than everyone else. If the game drags on their crumbling government can, and will, simply run out of cards. 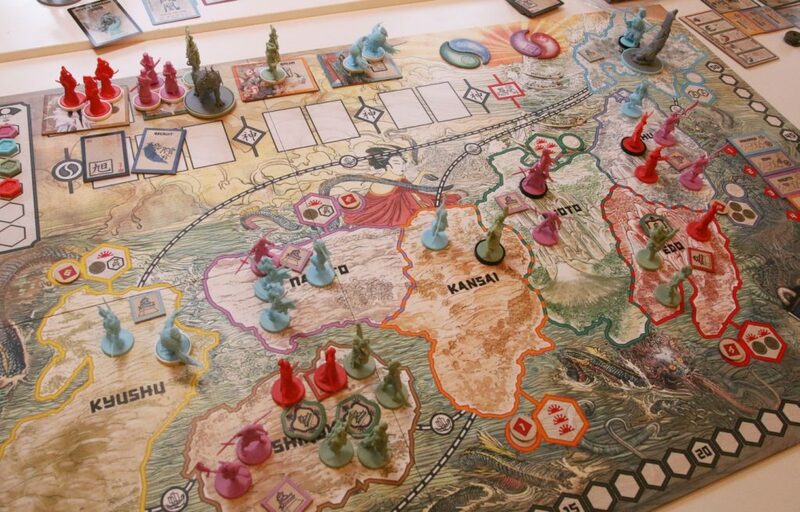 If you have less than five players, however, 1914 doesn’t compromise its vision in any way. Some players simply have to control two powers at once, which involves managing two hands of cards at once, an unwieldy and exhausting process that will make you question all those balletic warriors in D&D that make dual-wielding look cool. 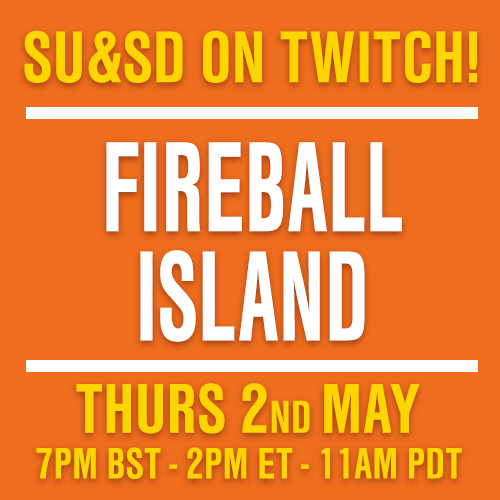 As such SU&SD categorically doesn’t recommend this game with less than 5 players. That means inserting it into a game night requires planning and forethought, as if you were planting a crop of card-based entertainment, fearing frost. But ooh, all of this effort is worth it, because with 5 players you’re harvesting some delicious… game… vegetables(?). SO! 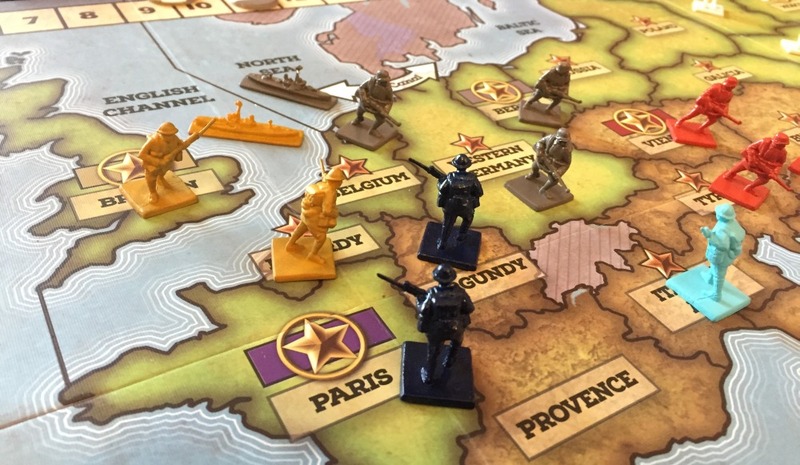 Quartermaster General has two teams engaging in a sedate tug of war across Europe. At five points throughout the game you have “Scoring Rounds”, where you earn one point for every territory you control with a nice star on it. 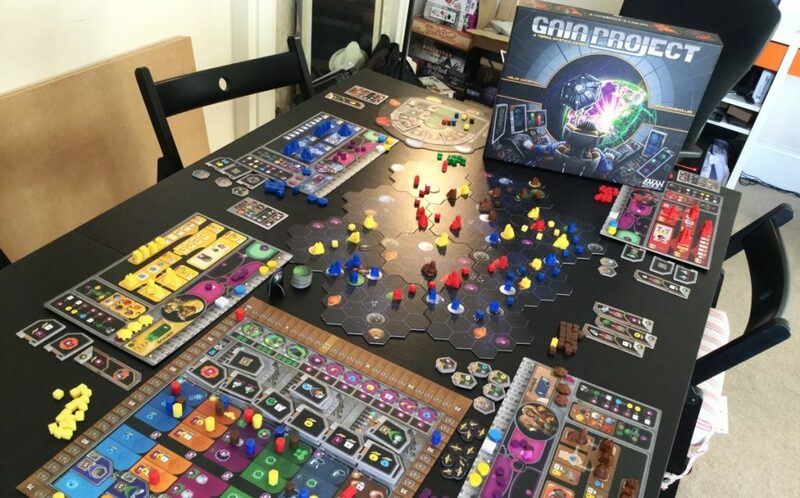 The game ends after turn 17, but if either team produces enough temporary momentum that they lead the other team by 12 points they immediately win the game. Exciting! As for how each player’s turn works, you’ll need to read along carefully. I’m thrilled to say that this game is both loaded with nuance and unlike anything else I’ve ever played. Each player gets their own personal deck representing their “power”, which might represent multiple countries. If you’re playing The UK & The U.S.A. you get an awful lot of cards that expand your navies, gradually enclosing Europe in a stranglehold. If you’re Germany, you’re given a pack of devastating cards that set the other team groaning. If you’re playing France & Italy you get a lot of half-decent cards controlling your besieged French forces, as well as a few cards that let you nudge Italy awake and have them get into the d— war. At any moment players are probably holding an enormous hand of seven cards, which might let you build an army, launch an attack, permanently upgrade your forces or play a devastating event. In picking which card to play on your turn you’ll be trying to make use of two particularly brutal rules. Any piece that can’t trace a path back to its home city is considered “out of supply” and can’t attack or defend itself. By destroying armies that represent vital links in this supply chain you can therefore cut off distant units from their vital supplies of pomade and bully beef, allowing you to do some bullying yourself. If you have an army sat in an enemy power’s home space, not only is that player’s supply chain destroyed, their units don’t score during the scoring phase. This is the Quartermaster General equivalent of being given a wedgie and shut in a locker, and the only way out of it is one of your allies coming to your rescue. Lovely stuff. But on your turn you can only play a single card, which means that Quartermaster General is also a very slow game. If you want to make the most of these two awful rules that hang from Quartermaster General 1914 like a pair of vulnerable testicles, imagine your team as a single human being. As Russia, you retract the leg (destroying a German army in Berlin), France delivers the kick (building a French army in Berlin), and the United Kingdom withdraws the leg so that you don’t fall over (deploying a soldier to protect Paris). The excellently entertaining problem that this creates, though, is that any kind of co-ordination means talking to your team-mates, and all communication is public, so the more you share your devious plans with your friends, the more your opponents know. 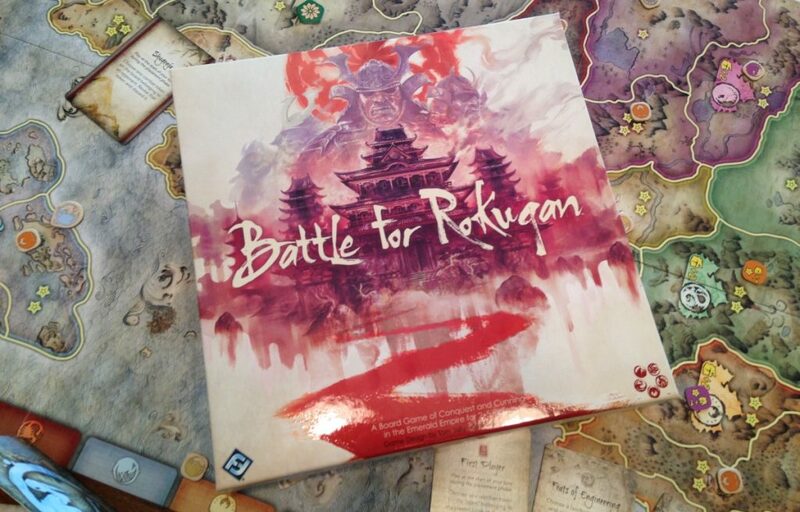 By itself this would make for an entertaining game, but there’s an even bigger, weirder puzzle at the heart of Quartermaster General, which has to do with running out of deck. While you can only play one card each turn for its effect, the game gives you all sorts of seductive opportunities to burn through more cards. You’ll probably “prepare” one card each turn, placing it face-down on the table and granting you the icon on the bottom of the card as a secret resource. Now you can block when someone attacks you, or press the attack when someone blocks, or counterattack, or force a player to discard a card through a mechanic called “attrition.” Doesn’t that sound good? Of course it does! There’s also the psychological warfare of players not wanting to attack someone with a half-dozen prepared cards. You also spend cards from your hand when attacking “difficult terrain” (which is the mountainous, darker bottom half of the board), and at the start of your turn you can discard two cards to search for a “Build Army” card in your deck. All of which is fine. You probably have cards in your hand you didn’t want, anyway! Cards? Who needs ‘em! But the longer the game goes on the more dread mounts for anyone with a thin-looking deck. Then comes a creeping paralysis as you’re left playing with the cards in your hand and the ones you prepared on the table, because you have no cards left to draw. But dropping out of the game isn’t the worst thing that can happen to you. If you get hit with any more “economic warfare” cards that demand you discard cards, and you can’t, you pay using your team’s victory points instead. I can’t overstate what a cool, bizarre puzzle this is. On the one hand, a team that decides to go pell-mell and apply incredible pressure to a single opponent might capture their capital and win against a team that was playing the long game. It makes Quartermaster General a reactive contest, with players having to match aggressive opponents with similar aggression. On the other hand, watching players squirm in the late-game and ask their allies for help because they spent too many cards early on is really entertaining. But this isn’t a perfect system. 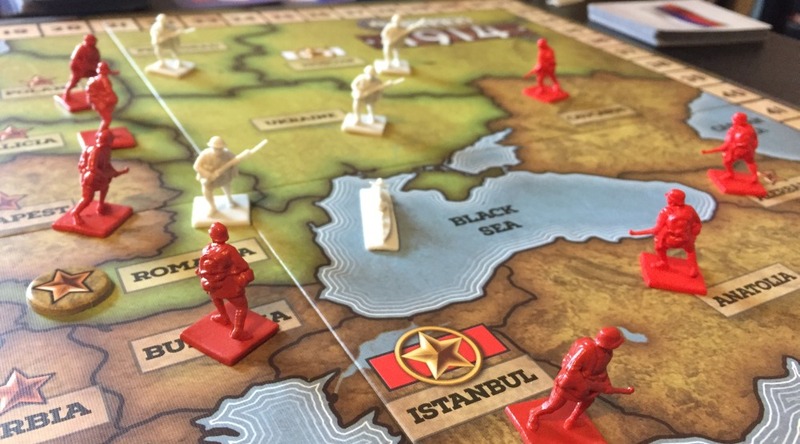 Trying to figure out the value of a card (or even a hand of cards) in a game of Quartermaster General is like trying to put a price on an imaginary marshmallow. 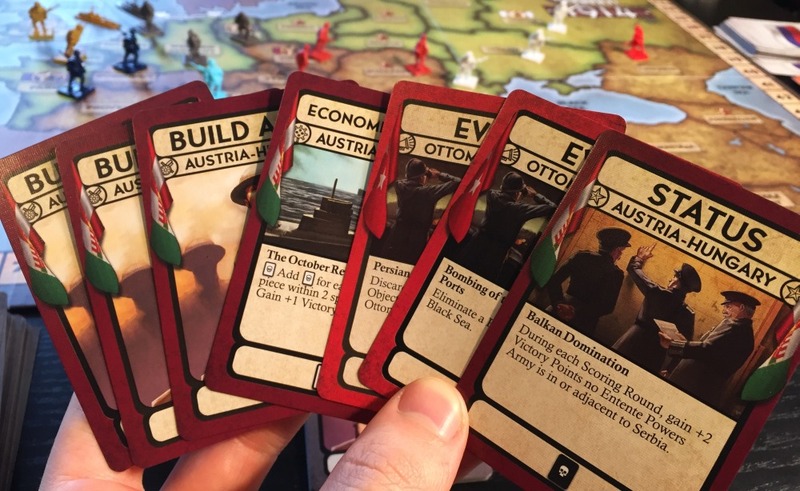 It would be different if you simply had a set number of war-dollars that you could allocate throughout the game, but instead you have a pile of stuff, and it’s looking smaller than it did half an hour ago, but is it smaller than Austria’s deck… ? Does it have more good stuff than Austria’s deck? Are you even winning this war of attrition? Are you going to pick up your deck and put it next to your opponent’s deck for comparison? You have to guess at all of this, and this “not knowing” is exciting, but it also meant that my grip on strategy was about as firm as if I was trying to remove a live eel from a barrel of olive oil. Quartermaster General is, without doubt, one of those games where fans will tell me “Yes, it’s inscrutable, but once you’ve played it a few times then you’ll start to get a feel for it!” Which might be ok if we didn’t live in a world full of strategy games where you can grasp the puzzle straight away, and if Quartermaster General wasn’t such a pain to get to the table because – let’s not forget – it requires 2 hours (if you include the rules explanation) and exactly 5 players. I love asymmetry in my games, but there’s so much of it here and it doesn’t sit so comfortably in a game that markets itself as quick’n’easy wargaming. 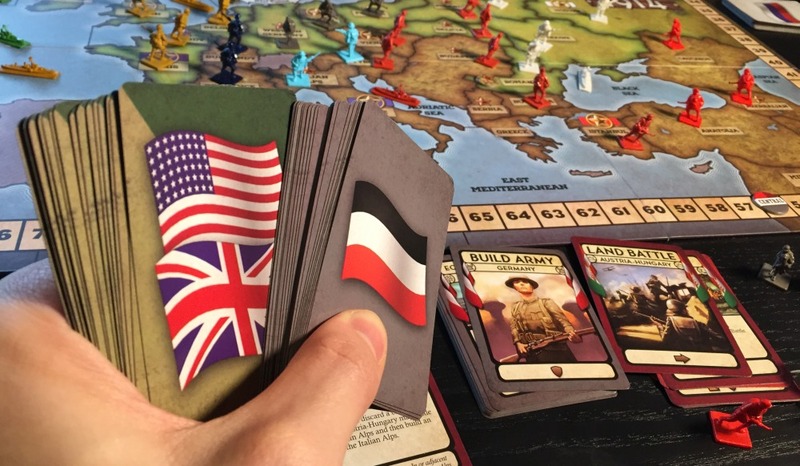 While each player is given a copy of the above (double-sided) chart of what’s in everybody’s deck, and it’s full of fun discoveries – learning that Germany has disproportionately few “build army” cards, for example, so destroying its soldiers is far more significant – everyone’s decks also include a ton of madcap “Event” cards you’re going to have to suffer through. These are far more common than I’d have liked, with the Central Powers team in particular playing them more often than not, and when you can’t predict your opponents you’re denied the fun of defeating them with long-term planning. 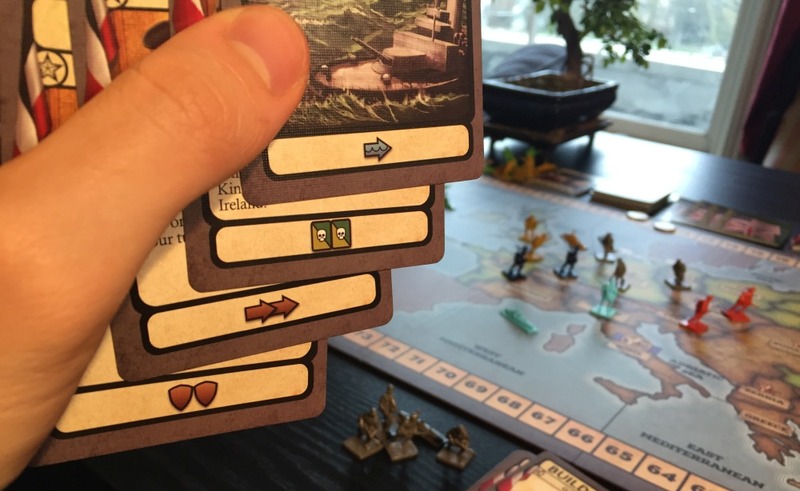 My head kept going back to the sublime Memoir ‘44: Overlord throughout my time with Quartermaster General. That’s another simple, social game where you’re oh-so-carefully managing the cards in your hand, but at every turn Memoir ‘44 felt more simple, more social and more emotive, and its unpredictability coming from dice felt a lot more exciting – and, conversely, more predictable – than your opponent flattening your plans with a momentous card that you had no idea was in the game. 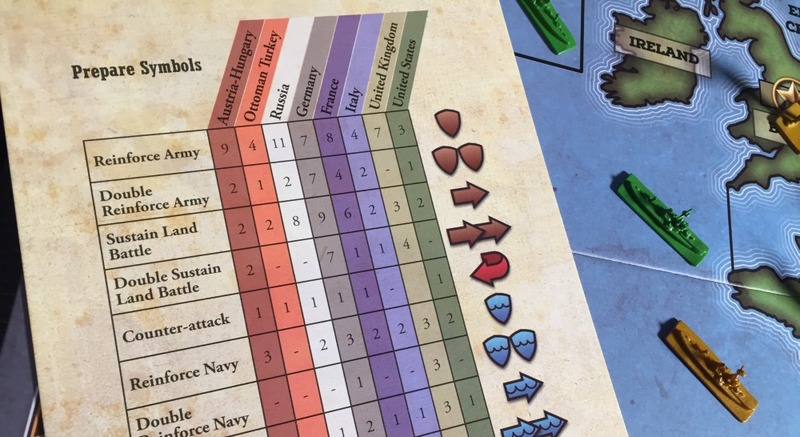 Of course, Memoir ‘44 Overlord is a big ol’ game, so if you wanted something as fast as Quartermaster General claims to be, what about 1812: The Invasion of Canada? A great little game that also seats exactly 5 players, but with half the rules. Or you could get 1775: Rebellion, an even more generous box that requires just 4 players instead of 5 and that packs an extra little introductory scenario and a serviceable 2 player variant right out of the box. And best of all, if one of your friends can’t make it over to a game of 1812 or 1775? They play perfectly well with one person playing two factions. 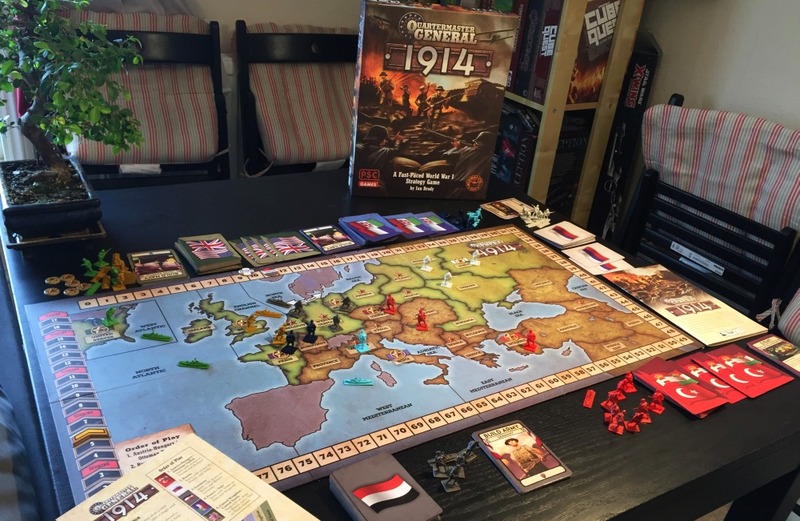 I absolutely enjoyed my time with Quartermaster General 1914. It’s a fine game, and one you could definitely pick up if you felt so inclined. 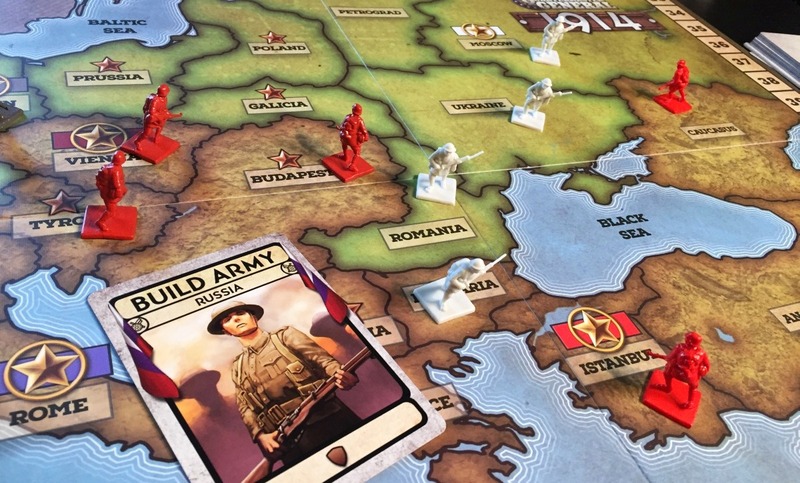 You’ll struggle to find a wargame that packs more fun ideas into less time. But like World War 1, it felt like a bit of a psychotic scramble with all of us racing to get used to these new rules of conflict, and less like an honourable contest. Speaking of a dishonourable contest, special mention has to be made of the miniatures for Austra-Hungary (left) and Ottoman Turkey (right), who are slightly different shades of red and must be distinguished between at all times. Oh, What a Lovely War? Oh, What an Unfortunate Manufacturing Error, more like. Quinns: Shut up and kiss me, Matt.